Do you want to be ecologically friendly? Do you want your house to look good? Do you want to save money? Do you want to be better protected? Exterior siding can do all that. Why do we need siding? Sugar Land Roof Repair is want you need for your exterior siding for your home. We all have to do our share in trying to reduce the effects of human activity on nature. Exterior siding is the best solution to all other exterior solutions in providing energy efficiency to our house. The cool air inside stays cool, and the warm air inside – stays warm. Exterior siding provides the best isolation to the outside temperature fluctuations, which reduces the energy needed to warm or cool your house. The above is true for all sidings. For the extreme nature lovers, we also have nature-friendly exterior siding materials, which will make your siding carbon mark zero. Just ask our experts for our “green siding solutions”. We all like to look good. We like to be fashionable. We buy clothes all the time. Well, the exterior siding is just like “clothes” for our house. We can choose the fabric. We can choose the color to match or be different from our neighbors. We can choose from a wide range of materials. Last, but not least – we can choose how much we want to spend. The end result is to have a great looking house, which we call home. There are only a few things which will save money when you buy them. Exterior siding is just that. 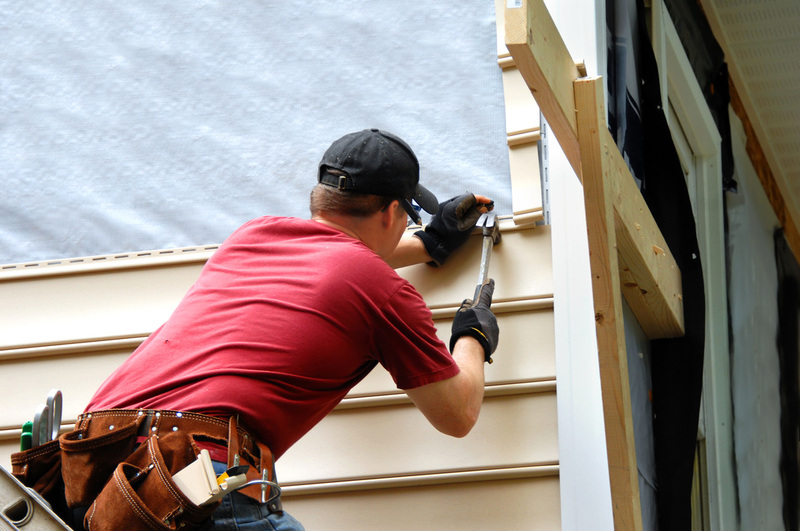 By installing your siding, you decrease your energy bill and exterior repair expenses. Actually, your siding will pay for itself and then you will be making a profit. There are few purchases you can make which can match that. Looking good, saving money, protecting nature are the by-products of exterior siding. The main function is the protection of the house from the external elements – sun, heat, rain, hail, snow, and storm. Whichever external siding solution you choose, this will be its main function. All the above is great, however, there is a catch. External siding needs to be installed professionally. There are many things which need to be accounted for. Different siding materials have different installation requirements. For example wood siding needs to be mounted tightly while vinyl siding needs to have “room to breathe”. If siding installation requirements are not met problems will occur and efficiency of protection will deteriorate. Improper installation may result in noise arising from wind meeting the siding. Siding should be moisture-tight. A bad installation could result in moisture problems. Take extra care with flashing trim elements around the doors and windows. Improper installation of these can also lead to leaks and compromise of your siding structure. We are not sharing this to scare you. We just want you to know that proper installation is second or even first to your correct exterior siding selection. Our experts will guide you through the selection process and the proper professional installation which will bring all the above-mentioned benefits to your house. Call us today at Sugar Land Roof Repair, for our professional and courteous customer service staff will answer any and all questions or concerns you may have.